Yes, really… In fact, I think it’s the perfect starter memoir. So, here is my recipe for a Thanksgiving Memoir. 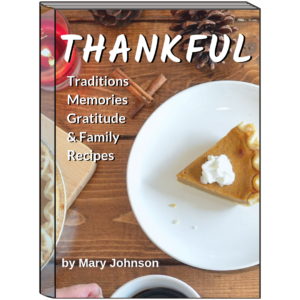 A bunch of Thanksgiving memories – This can include traditions, as well as other stories. Several ladlefuls of gratitude – for people, events, and things that have made your life better. A handful of recipes – yours and/or others. Photos to sprinkle – Use both old and recent photos of Thanksgiving celebrations. You may also want to include a few photos of people/events/things for which you are grateful. 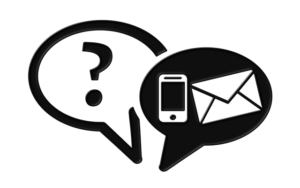 If you wish to include recipes or photos that someone else may have, reach out and request them. Taking photos of the photos and recipes can be a real time-saver that you might suggest to make this easy. Learn more about taking photos of photos. Make a list of Thanksgiving traditions and memories. If you feel like you could use some help filling in gaps of your memories, reach out to those who were there. You might ask about specific things, or you might just ask for some of their Thanksgiving memories. They may have stories you’ve completely forgotten and will want to include. Make a list of the most significant people/events/things for whom/which you are grateful. You don’t need to limit this to Thanksgiving memories. Add detail to each item on your list of Thanksgiving traditions and memories. Some may only be a few sentences and some may be a few paragraphs or more. Write a few paragraphs about the people/events/things for whom/which you are grateful. Write an introduction to each recipe. This may include where it came from, why you love it, and anything else of interest. Group together at least one thing from each category. 1) traditions & memories, 2) things for which you are grateful, 3) recipes and 4) photos. Look for associations – particularly between your traditions & memories stories and your gratitude stories. They don’t need to be direct associations–even a similar theme, timeframe, or location will add cohesiveness. The recipes and photos may also have associations, but it’s not necessary. Each group will become a chapter. Write down the common thread of each chapter. If it’s a time frame, write down the years. If it’s a person, write down the name. If it’s a theme, write down the theme. Then put your chapters in an order that makes the best sense to you. There is no “right way” to do this–just use your intuition. Decide how you will organize each chapter. You could simply start with a photo or photos, follow it with the story of the Thanksgiving tradition or memory, then the gratitude story, and finally the recipe introduction and recipe. If your photos have close relationships to the stories or recipes, you may prefer to place the photo at the top or bottom of the section to which it is related. If you are comfortable using a word-processor like Microsoft Word, Google Docs, Libre Office Writer, or OpenOffice Writer, layer all the ingredients and create a Table of Contents. We also have some inexpensive templates available with “Styles” set up and instructions for use. If you’re not comfortable using a word-processor, keep reading below for some free and inexpensive options for getting it done. Get it printed for a few dollars a copy. Blurb.com* creates beautiful hardcover and softcover books at various sizes and in whatever quantity you want. The price is comparable to what you would pay if you bought your book at the bookstore. Amazon’s KDP (Kindle Direct Publishing) is intended for authors who will list their books for sale on Amazon, but it is a tremendous value for printing softcover books even if you don’t end up selling it. Both of these options include a way to design and create your own book cover, however, if you find yourself struggling with this step, let us know. Share copies with your family and friends. You could take all of the ingredients and head over to MemoirWorkbook.com. The free 30-Day trial should be all you need to finish your book. MemoirWorkbook will automatically create a formatted document for you. Please note that photos will be placed at the end of your chapters. If you choose this option, we can send you the instructions for how to set it up for this project. Just use the form below to let us know! What is the format of your stories? Are they hand-written or typed in a word-processor? What is the word count (if known) or page count? If your stories are in a word-processor, you can probably look at one of the corners and see a word count. If your stories are hand-written, how many pages do you have? In what format are your photos? Are they in a digital format, or are they prints? There are plenty of other ways you could put together a Thanksgiving Memoir. 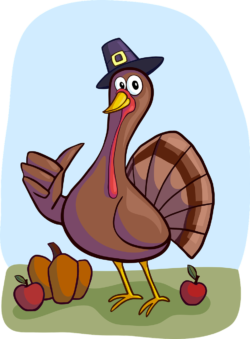 Let us know in the comments below what you think about creating a Thanksgiving Memoir! *If you make a purchase after using this a link on this page, this website may get a small commission. It doesn’t cost you any more and it’s how we support this website. Thank you!